A lamp with a dual personality, Can Can’s clean, linear shape acts as the container for a sophisticated decorative effect. Like many other creations by Marcel Wanders in which the designer melds together simple, classic forms and features or decorations that draw on tradition, in this suspension lamp too he unites an essential exterior silhouette with a lighting ‘effect’ that is as delicate as it is unexpected. From a distance, Can Can introduces itself as a lamp with a stern design that unexpectedly, when seen close up, reveals a floral decoration that filters the light as it is diffused. Delicate and unpredictable, the beam is broken by the polycarbonate decorative flourish to create an ever changing fabric of light. Achieving a perfect balance between simplicity and refinement - constant features in Wanders’ work - Can Can adds an unexpected and sophisticated note to our everyday settings. Can Can recalls other designs by Marcel Wanders where he combines classic forms with traditional decorations. 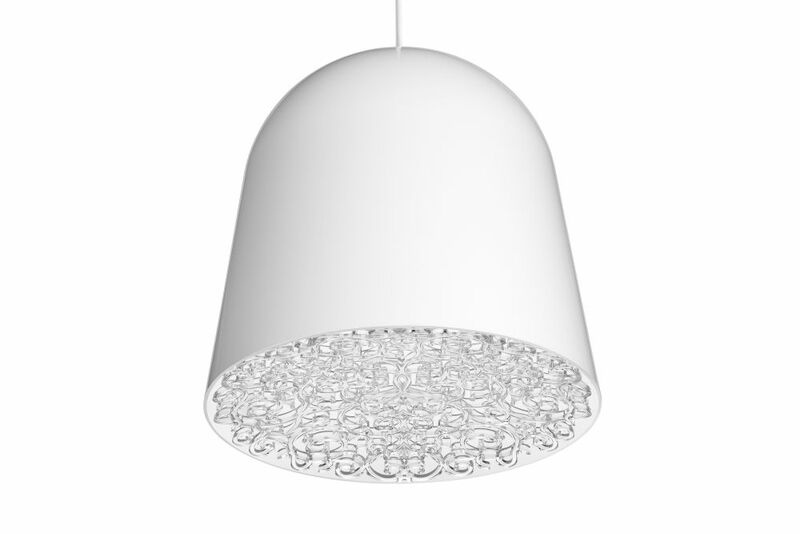 Here, the clean lines of the suspension lamp contrast the delicate floral decoration inside the light. Achieving a perfect balance between simplicity and refinement, Can Can demonstrates Marcel Wanders’ enduring skill in creating designs that add an unexpected and sophisticated note to our everyday surroundings.